Lahore: On publication of a news item in daily “Dawn” dated 25.12. 2012 that a number of people staged protest demonstration against Faisalabad Police for refusing to register kidnap case of a man who was found murdered 20 days back. Lahore High Court Complaint Cell has directed District & Sessions Judge, Faisalabad to look into the matter and submit detailed report about the steps taken by the local police along with his own comments. D&SJ in his report opined that it is crystal clear received application from Muhammad Yaqoob father of Zahid deceased about his abduction and intentionally did not register the case rather handed over his application to Fayyaz Rasool ASI, who tried to extract illegal gratification from him. Even when information reached complainant about the shifting of abductee, said ASI despite obtaining Rs.50,000/- neither register the case nor tried to recover the abductee. 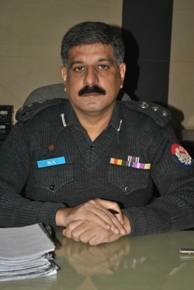 “I am sure if he had registered the case against the culprits and tried to recover the abductee, life of son of the complainant would have been saved but police officers despite lapse of 19 days neither register the case nor tried to rescue the abductee from the clutches of culprits, which resulted into his death. Now I.O has bound down some suspects on the indication of the complainant and CPO, Faisalabad has constituted Joint Investigation Team”, the report added. After perusal of the report, Lahore High Court has again directed D&SJ to involve his jurisdiction u/s 22-A &22-B Cr.P.C. and issue directions to the DPO and the IO for fair investigation on true lines.